We use the information you provide about yourself strictly to prepare your legal documents and to contact you to process your case. We do not share this information with outside parties except to the extent necessary to process your case or create your documents. We use return email addresses to answer the email we receive and to upload your legal documents to you only. Finally, we never use or share the personally identifiable information provided to us by you on any form on any of our websites (nevadaannulment.org; nevadadivorce.org; livingwill-livingtrust.com; lasvegasnevadabankruptcy.com; conexa-llc.com) in ways unrelated to either the preparation of your legal documents or fulfilling court requirements and procedure for your legal case. If a party who completed a questionnaire or form on any of the Conexa, LLC websites subsequently chooses not to pursue the legal matter for which they contracted by filling out the questionnaire, the party understands that the second payment will not be due and the business transaction between the client and Conexa, LLC will be considered completed and ended. If a party requests that a questionnaire on a Conexa, LLC website be completed by a Conexa, LLC employee or contractor, the party understands that the refund rules apply the same as if client had completed the questionnaire him/herself.The first payment will not be refunded, due to the time and effort expended on behalf of the client after a questionnaire has a been completed and the credit card charged. If Client sends signed and notarized documents to Conexa, LLC, it will be assumed by Conexa, LLC that Client wants Conexa, LLC to file said documents at court. The second payment will be charged to the client’s card and the case filed and no refund will be available for the second payment once Conexa, LLC has received original signed and notarized documents from Client. Bankruptcy clients who make payments towards the full amount due and for whom services are provided as milestones in payment levels are reached understand that there is no refunds for payments already made, but that no further payments will be due if Client chooses to not pursue bankruptcy after retaining Conexa, LLC to represent Client in a bankruptcy matter. If a divorce or annulment case is denied by the court for a case accepted by Conexa, LLC after March 18, 2016, a client does have the option of requesting a refund as per the terms of the Refund paragraph herein. If there is any attempt to obtain legal representation or legal assistance of any sort from Conexa, LLC, through any of its websites, without paying for said services, it will be considered fraud. If a disagreement should arise between Conexa, LLC and any client who retained Conexa LLC, all parties agree that any civil proceedings will take place in Clark County Nevada. 2. Electronic Communication. By visiting nevadaannulment.org; nevadadivorce.org; livingwill-livingtrust.com; conexa-llc.com and lasvegasnevadabankruptcy.com and sending e-mails to us in electronic form you consent to receive electronic communications from us, and a phone call, if you enter your phone number on the Contact Us page on any of our websites. You agree that all agreements, notices, disclosures and other communications that we provide to you electronically satisfy any legal requirement that such communication be in writing. 3. Credit cards. We collect your credit card information and we charge the fees for your legal case to said credit card. Once you complete a form on our website(s), you agree that the first half of the cost of your legal case will be charged to the credit card with which you provide us, either on the questionnaire or on the phone. You agree that the first payment is not refundable after we received the questionnaire from you. We begin work on your case IMMEDIATELY upon receipt of the questionnaire, no matter the time of day or night, and we work seven days per week, fifty-two weeks a year to better serve our clients. 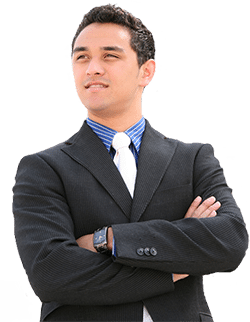 In the case of a Living Trust, the full payment is taken up front; in the case of a bankruptcy case, payments will be made in accordance to the terms on the bankruptcy questionnaire and the payment arrangements you make with us. Second payments are never refundable after your case has been filed at court. We file cases at court mostly the same day or the day after the second payment has been made and the filing fees and court costs are paid at that same time. 4. Pricing and Billing. Fees are set forth throughout our website and there are no hidden fees. Fees for all cases are charged at a flat rate for our services. In some cases, it is necessary to hire a process server and publish a Summons (in the case of a one-signature annulment or divorce) and this cost is additional to the flat legal fee which covers the services of your attorney and his paralegal staff. If your annulment or divorce becomes contested and you choose to use the services of Attorney James E. Smith to represent you in court, there will be additional charges as the flat fee covers your uncontested matter only. 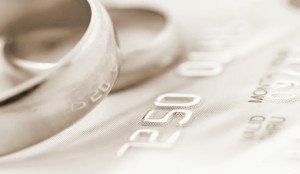 Should you require the services of Attorney James E. Smith for negotiation, or mediation, or for anything above and beyond what is customarily needed for an uncontested Nevada annulment or divorce case without a hearing, or beyond his usual duties regarding a bankruptcy filing, there may be additional attorney fees incurred. On occasion, Clark County Nevada District Court raises its filing fees. That fee will be passed on to the client. Every effort is made to contact clients and advise them of impending filing fees increases. Conexa, LLC reserves the right to change the price of any legal service offered at any time. 6. Disputes. Any dispute relating in any way to your visit nevadaannulment.org; nevadadivorce.org; livingwill-livingtrust.com; and lasvegasnevadabankruptcy.com or to services facilitated by nevadaannulment.org; nevadadivorce.org; livingwill-livingtrust.com; and lasvegasnevadabankruptcy.com shall be resolved through Mediation in Clark County, Nevada. 7. Copyright and Trademarks. All content included on nevadaannulment.org; nevadadivorce.org; livingwill-livingtrust.com; lasvegasnevadabankruptcy.com and conexa-llc.com is the property of Conexa, LLC and protected by United States and international copyright laws. 8. No legal advice, attorney-client relationship, confidentiality The information contained on any of our websites, including the one on which you are reading this paragraph, is provided for your general informational purposes only, and is not intended to constitute, and should not be construed as, legal advice on any subject or legal matter that pertains to you, or anyone else. Therefore, you should not consider this information to be an invitation to a client relationship, should not rely on the information provided herein as legal advice on any legal matter or subject for any purpose. Always seek the legal advice of competent counsel in the relevant jurisdiction for any legal matter. No email messages between our offices and any prospective or current client, in and of themselves, create an attorney-client relationship between said client and James E. Smith, Esq. We assume that you are no longer interested in filing your case if you do not send us the signed/notarized documents (or sign them at our office) within six months of completing our online form. Based on that , we will close your file after six months of no activity. Cost to re-open a closed file will vary per case. Case files are closed permanently after one year from the date of the initiation of the case if the case has not yet been filed with the court due to client inaction. A new case may be initiated at this time at the discretion of the attorney based on the current validity of the case. Changes needed on pleadings due to errors in information submitted by client or due to a change of mind on client’s part: from $25+ per change. Extensive changes requested by client after the documents have been emailed are billed at $150 per hour. 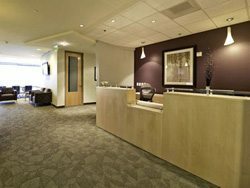 Additional work outside our usual case processing for uncontested matter: $150 per hour (this does not mean Mr. Smith’s fee if a divorce case becomes contested, but simply pertain to additional work on an uncontested divorce case due to out of the ordinary issues pertaining to a particular uncontested divorce case). Client(s) entitled to 3 case status check calls. You may purchase 3 additional calls for $50. If a uncontested divorce becomes contested, there are additional attorney fees. 9. Refund Policy: A refund will be extended at the client’s request for a divorce filing when both parties sign the divorce documents. No refund for one-signature divorces, or for any case that becomes contested after the case has been filed. This also applies to joint petition divorces and Complaint and Answer divorce cases when one of the parties has a change of mind and wants the divorce dismissed. There is a fee for having a case dismissed after filing. Should you have other questions or concerns, please call 702.420.7052.